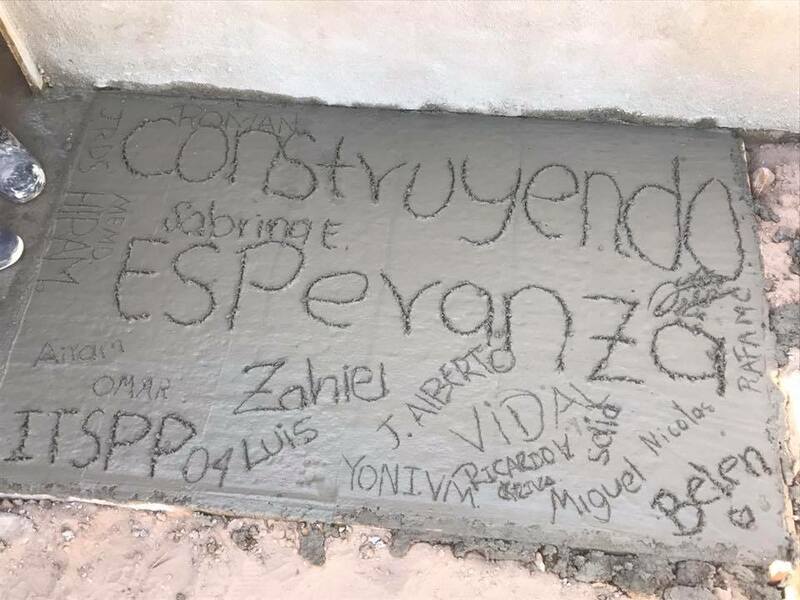 In 2017, civil engineering students in their 5th semester at the Superior Technological Institute of Puerto Peñasco (ITSPP) took part in building homes for families in need, including one for a family of six that had been living under a mesquite tree. Construction of the two-room homes, made possible through the Building Hope (Construyendo Esperanza) foundation and Amor Ministries, offers families in need better and healthier spaces than where they may have been living. Along with putting their civil engineering studies into practice, ITSPP students from both the morning and afternoon sessions can complete social service components of their degree by participating in the home builds. ITSPP is grateful to Amor Ministries for inviting their students to participate in the experience, noting their interest to continue collaborating with the noble cause in the future.